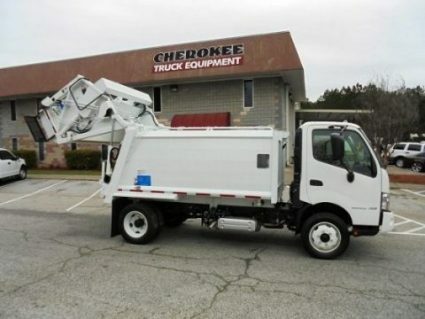 Curbtender Inc designs and manufactures refuse collection vehicles in Cedar Falls, Iowa. The company derives its name from the storied Curbtender automated side loading refuse truck (ASL). Developed in the early 1970’s, the Curbtender was the first commercially produced ASL in the US waste industry. It quickly became the benchmark for performance thanks to its 2,000 pound lift arm capacity and 1,000 pound per cubic yard compaction rating. This flagship product was renamed the PowerPak in 2017 and is now equipped with an industry-best 5 year standard warranty. In addition to producing 12 different refuse truck models, Curbtender has also begun integrating its products with all electric truck chassis platforms. BYD Motors and Curbtender have recently partnered to conduct demonstrations of a fully electric Quantum rear loader and a HammerPak automated Side Loader. Kevin Watje was named the Chief Executive Officer of Curbtender Inc in 2017, when the company purchased the assets of Wayne Industrial Holdings LLC. Our goal is to produce high performance, durable products that offer customers a lower total cost of ownership (TCO). We believe in conducting our business with world-class service and respect. Visit the Curbtender, Inc. Website! Curbtender Quantum Rear Loader Demo Unit Now Available! Click for more details. Related Product Gallery of Curbtender, Inc.